A large measure of the anguish we inevitably feel when cherished animal companions die is the knowing that we will never see them again. We can no longer caress them, walk with them, talk to them. The sense of having a door irrevocably shut stings; there seems to be no way to open it again or to recover a semblance of the relationship that brought so much pleasure for so many years. Only the pain is left in its wake. But it does not have to be that way, as I've discovered through many "conversations" with animals in spirit, even years after they've abandoned their physical bodies. 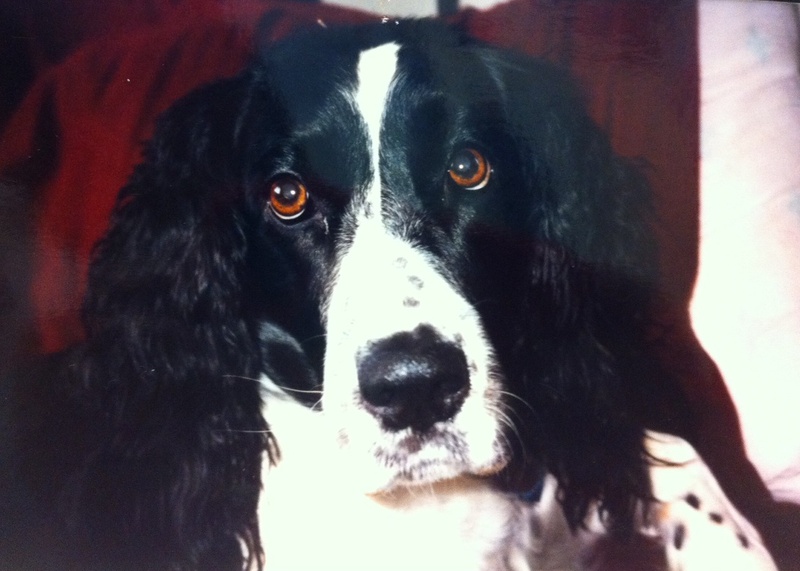 And the vibrancy with which our animals live on was brought home again in a dramatic way, during a recent session with a beautiful springer spaniel, Emilie, the soulmate of a woman named Mollie. All I knew about Emilie was that she had died. I didn't know how or when. Mollie wanted the consultation simply to see if Emilie was okay, and whether there were details of their life together that she would be able to share. As soon as I tuned into her, Emilie came into focus as sharply as any living dog. She gave the impression that there had been some congestion in her chest, and also mentioned problems with one of her eyes. Mollie confirmed that the condition that had led to Emilie's death was a large tumor on her chest; she had also suffered from eye infections throughout her life. Later in our session, Emilie revealed that her role in Mollie's life was as a surrogate child: she hinted that Mollie had either miscarried, or that she couldn't have children. That information seemed so personal that I wasn't sure how to relay it to Mollie, so I simply wrote, "She considered herself to be your baby, and there was a feeling that she was almost a surrogate child." When she read that, Mollie gasped. In fact, Mollie had indeed suffered a series of miscarriages, and had never had children. She very much viewed her relationship with Emilie in precisely the way that Emilie had suggested, and I got chills when Mollie finally told me that Emilie had died nine years ago. "I'm just flabbergasted," she admitted. "Your session with Emilie brought back a lot of emotions." What it taught me, yet again, is that the profound connection we forge with our animals is never broken, only changed. They are still there for us, and though we do not fully understand how this can happen, it does not alter the fact that the ties between us remain real.